Exceptional people. Exceptional care. Making our community healthier. Something to feel good about. Providing the best care available. at making you feel better. leads the way in medical excellence. 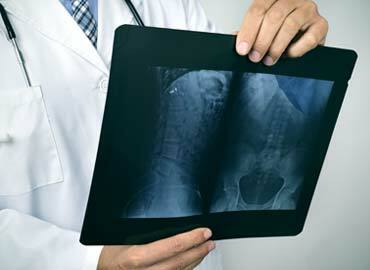 The facility and staff at Prairie Surgicare are tailored completely to spine care. 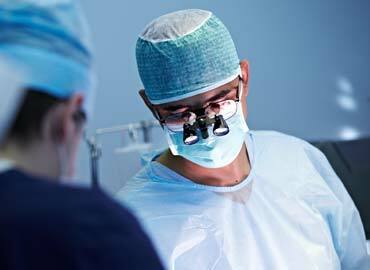 Prairie Surgicare offers a comprehensive range of surgical services. Contact Prairie Surgicare to find out more about our minimally invasive treatments. Prairie Surgicare offers a wide-range of spine–related surgical procedures in a relaxed and comfortable facility. We proudly perform an array of minimally invasive surgical procedures, some of which are out-patient procedures, while others require an overnight stay for observation. For patients whose treatments require an overnight stay, we offer an experience that parallels, if not beats, that of home recovery. Whether it’s enjoying a dinner by the fireplace with loved ones after a procedure, or being treated like family by our highly–specialized staff in a friendly, welcoming environment, patients at Prairie Surgicare feel nothing less than at home throughout their stay. We proudly perform an array of minimally invasive surgical procedures The Prairie Surgicare family is dedicated to providing a warm, highly professional, patient–friendly environment. Our team of experts seek to provide superior, compassionate care with a personalized approach in the treatment of back pain to determine the best and most appropriate option for each individual patient. Additionally, we empower our patients by providing transparency throughout the entire process, allowing them to make knowledgeable, confident decisions that result in favorable outcomes, quicker recovery times, and in turn a positive patient experience. Founded in 2012, Prairie Surgicare was created with the vision that selective healthcare should occur in an ambulatory setting for spine patients. Hospitals are filled with disease, sick individuals, higher complication rates, and an array of other common complaints. We believe that young, active, healthy people seeking out minimally invasive techniques should have a facility that aligns with their conditions and goals. These patients do not have major medical conditions, but are looking to regain freedom in their lives by taking a minimally invasive approach to their medical treatment. A reputation of solid, positive outcomes, and low complication rates At Prairie Surgicare, we are happy to provide a comfortable and clean atmosphere, a reputation of solid, positive outcomes, and low complication rates. We pride ourselves in staying at the forefront of industry research and training in the latest technologies to in turn provide the latest, most effective medical procedures for patients. Since 2013, Prairie Surgicare has offered bundled pricing solutions for patients seeking healthcare pricing capabilities. As healthcare has evolved and deductibles have gone up, we have stayed on the forefront of how services are delivered financially and were one of the first programs to offer bundled pricing. We believe it is good practice to put the interests and well–being of patients first We have developed bundled payment models to allow for pricing transparency, easing the payment process for patients who pay out-of-pocket or are self–insured. Prairie Surgicare has a solid history offering the best for self–insured patients and businesses/TPAs seeking value for their employees, specifically those who are trying to avoid the skyrocketing cost of healthcare and seeking a direct relationship with their physicians. We believe it is simply good practice to put the interests and well–being of patients first by creating access to care, advising in understanding the confusing jargon of insurance companies by allowing transparency, and in turn facilitating great relationships between patients and their provider. While the cash market is a seemingly emerging one, we have a long-standing history with our knowledgeable billing staff that help patients confidently navigate the process from beginning to end. We partner with Healthcare Bluebook so our patients can have all of the information necessary to make the most informed decision regarding your healthcare. By giving patients all of the tools to confidently make the best decision for their respective situations, we are able to build solid relationships with them, and provide expert spine care, one patient at a time. At Prairie Surgicare we have revolutionized our procedures and technologies so patients can achieve their medical goals without the highly-invasive procedures that require longer recovery times. Our patients witness the same, if not better, results from our minimally invasive procedures, and are able to get back to their lives with enhanced, accelerated recoveries. © 2018 Prairie SurgiCare. All Rights Reserved.